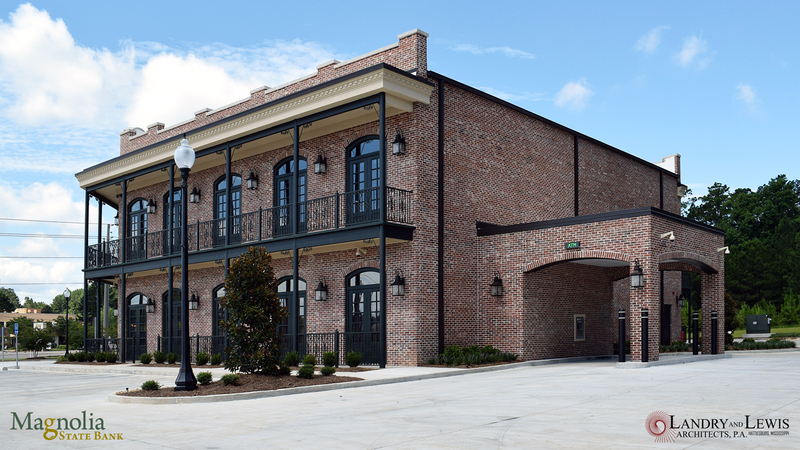 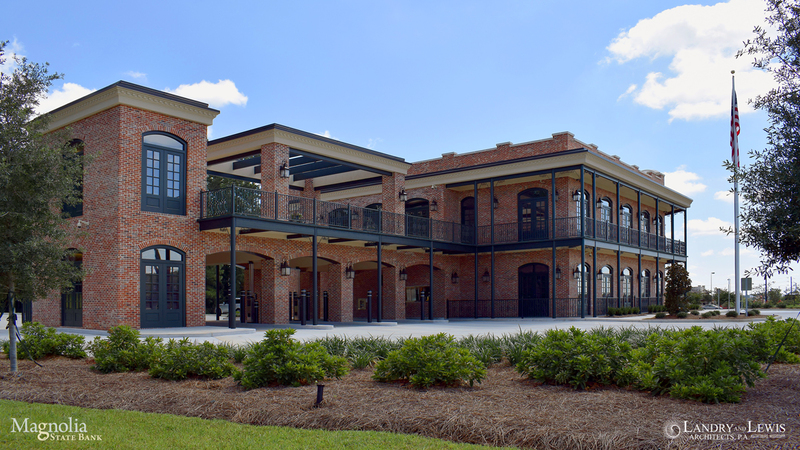 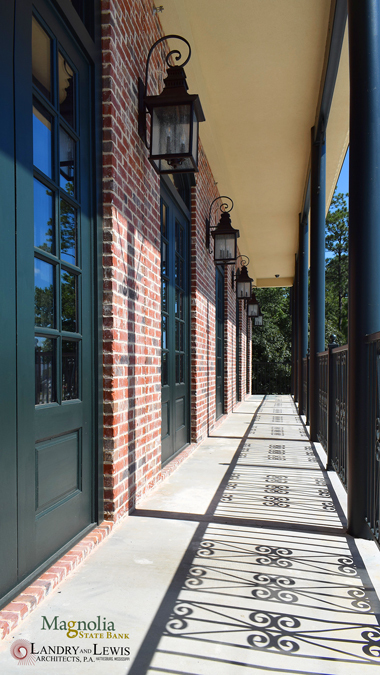 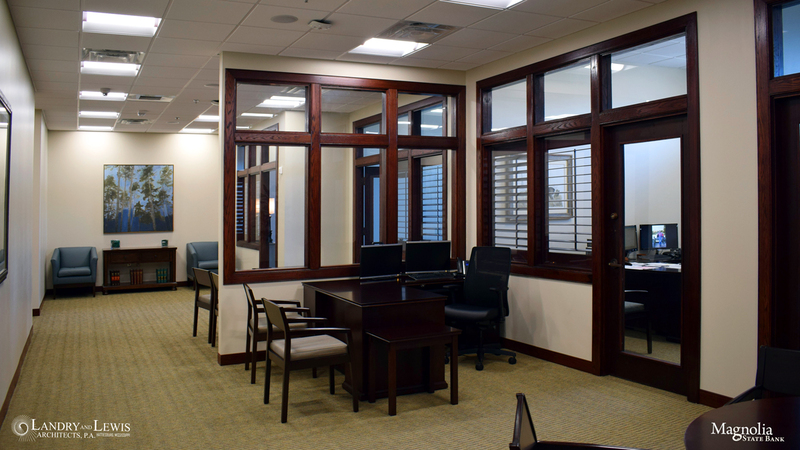 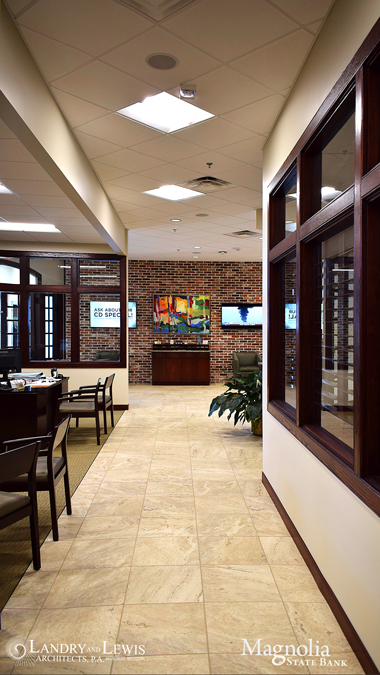 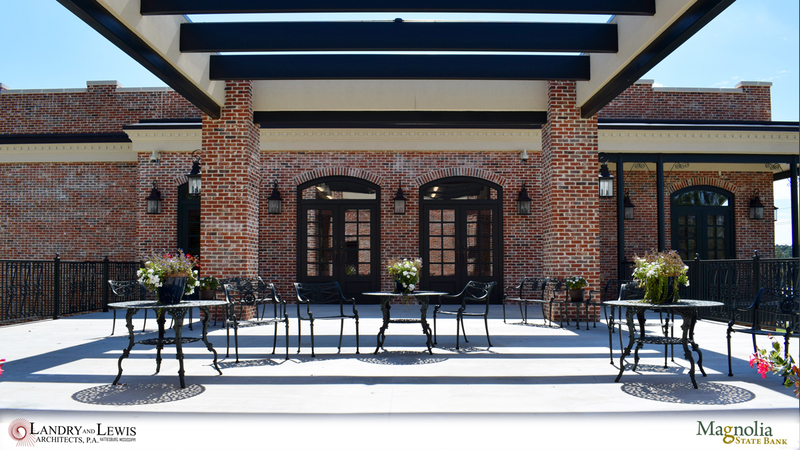 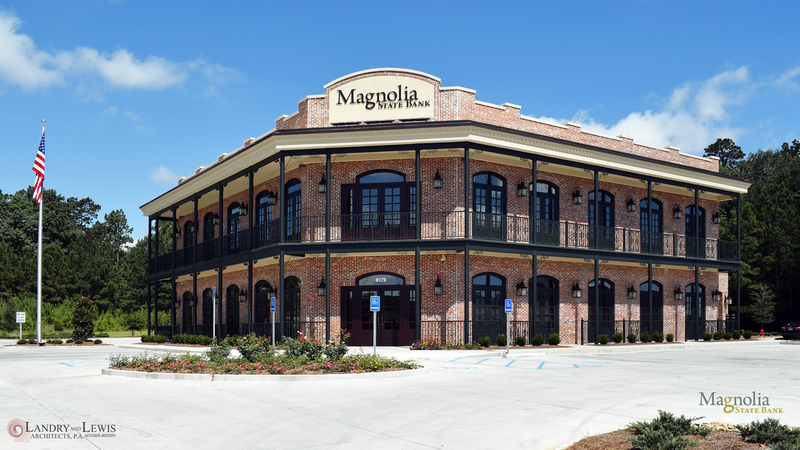 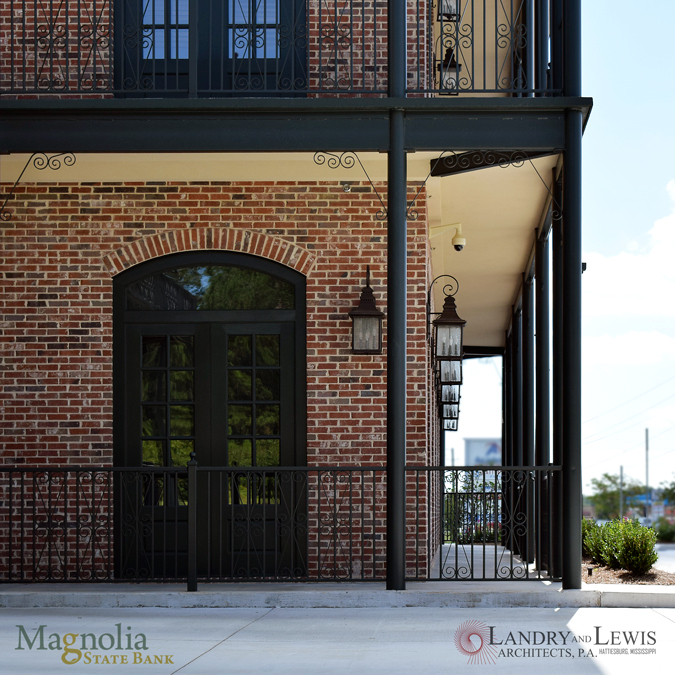 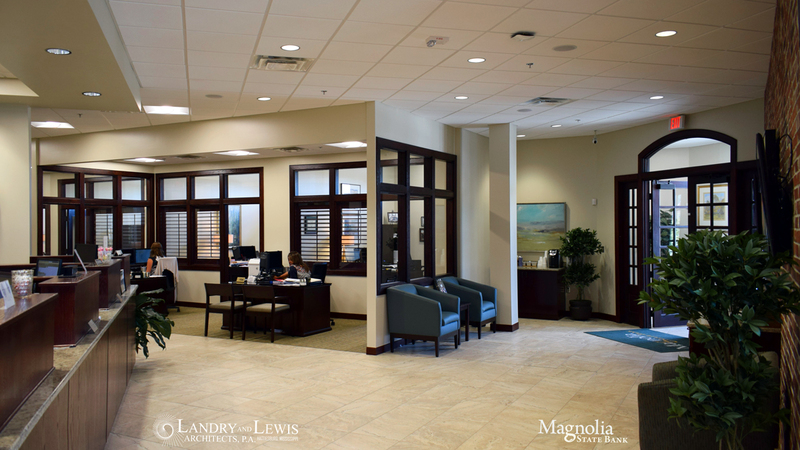 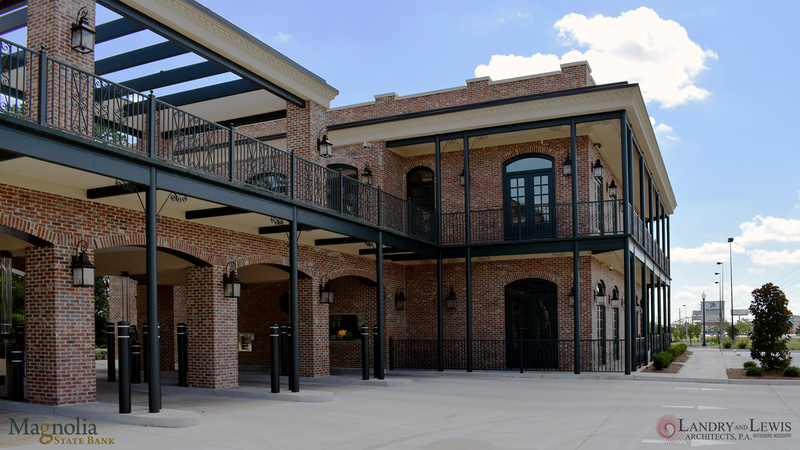 Magnolia State Bank Hattiesburg – Landry Lewis Germany Architects, P.A. 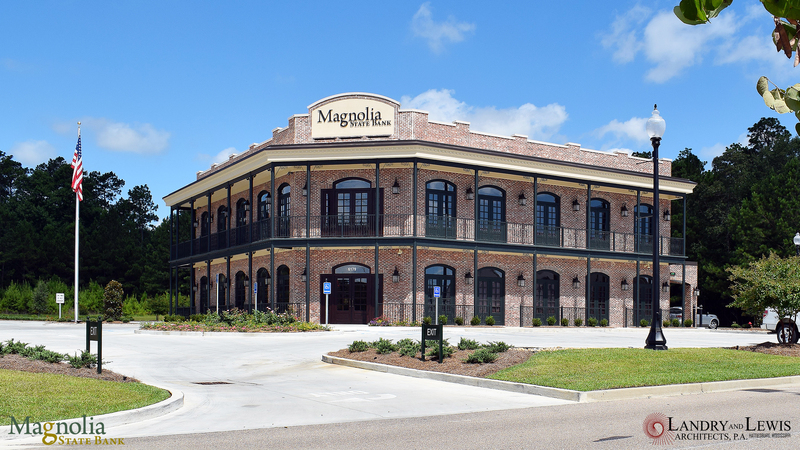 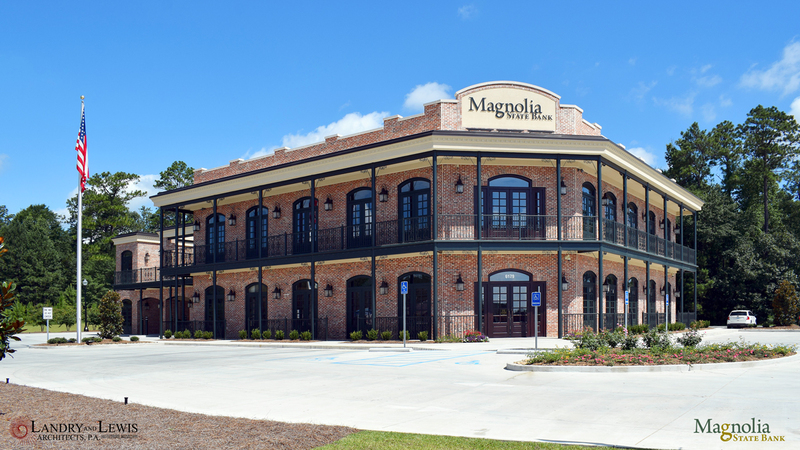 Magnolia State Bank’s newest location in Hattiesburg opened in June 2017. 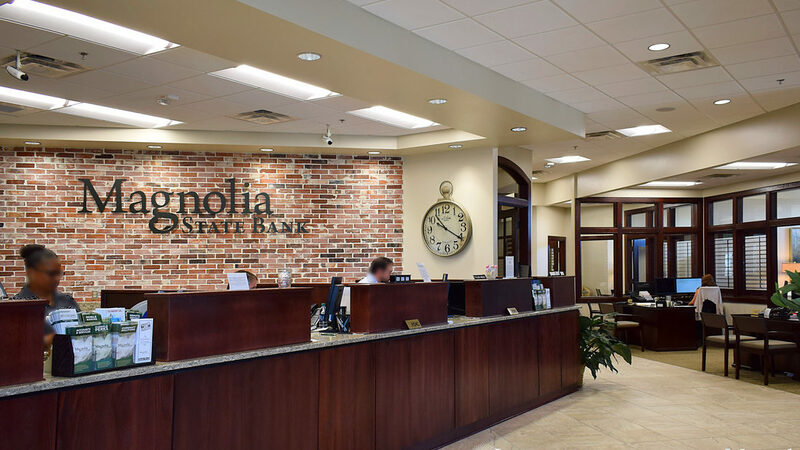 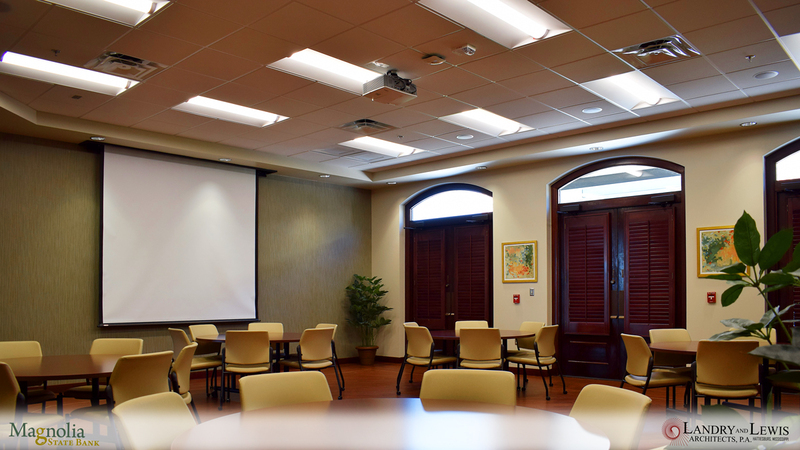 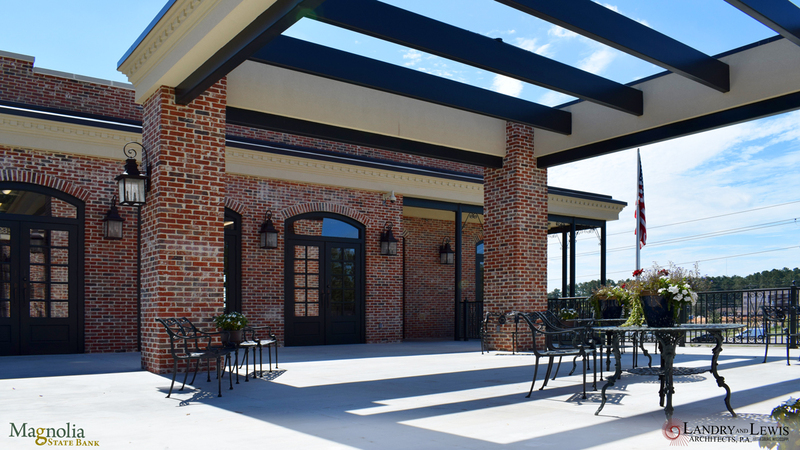 The facility includes over 16,000 square feet of space consisting of commercial and personal banking areas, loan offices, executive offices, conference and break rooms, as well as private meeting spaces, a banquet room, and a roof-top patio above the drive-thru teller lanes.